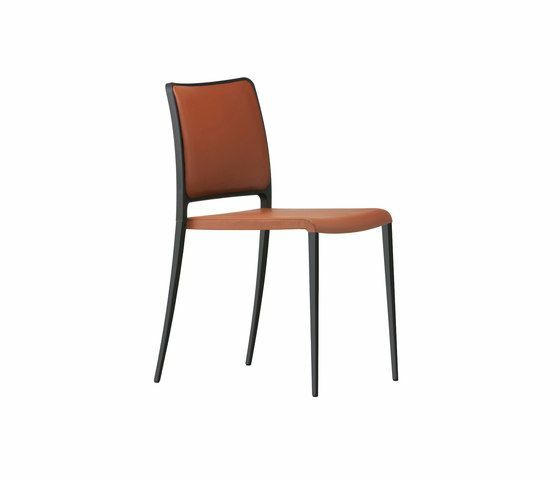 Mya chair die-casted polished or brushed aluminium legs and seat and back simil leather upholstering. Back structure in black polypropylene. Available with powder coated legs.